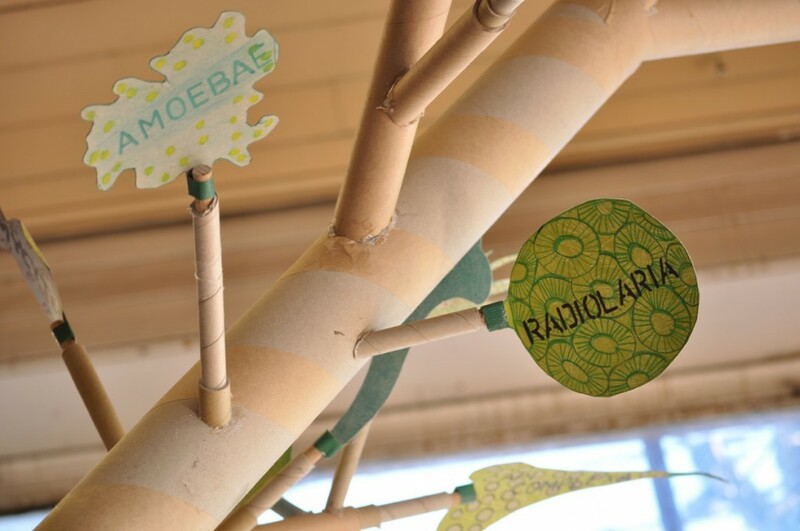 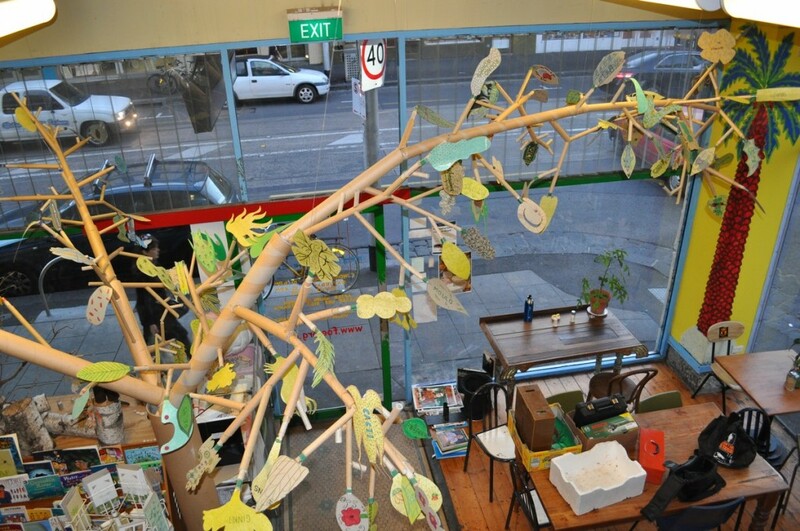 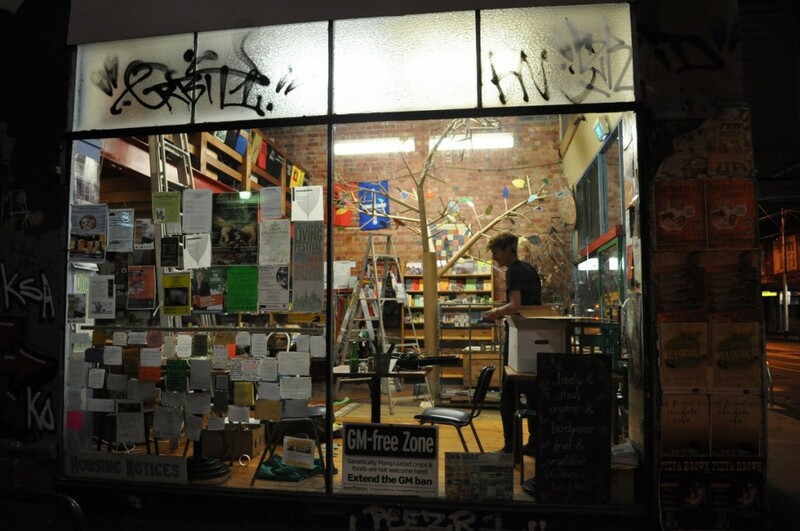 Following SFN’s Tree of Life-biodiversity workshop at ArtPlay (presented in collaboration with Tony Adams), we had the opportunity to install our tree and its collaboratively made leaves at Friends of the Earth Melbourne. 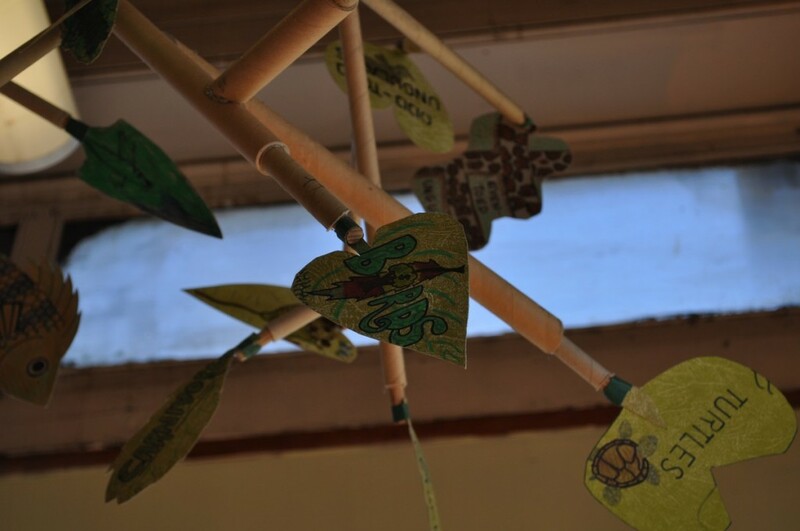 We used a piece of Victorian bluestone to anchor the tree to the floor and attached the recycled tubular branches to the ceiling using fishing wire. 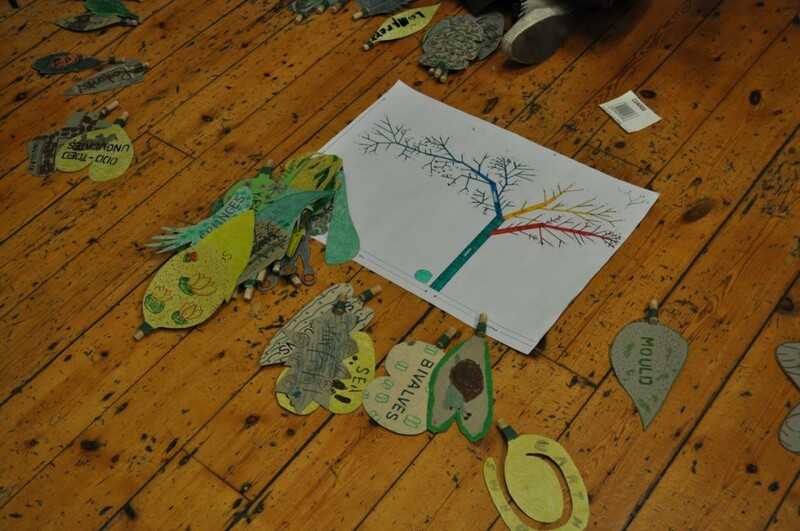 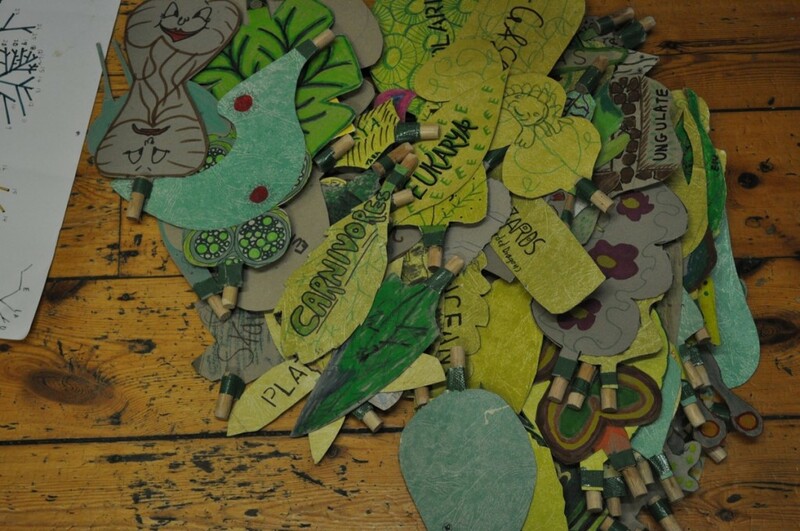 To accompany the sculpture, SFN compiled a ‘family photo album’ containing pictures of all the phyla and families represented by each of the leaves on the tree. 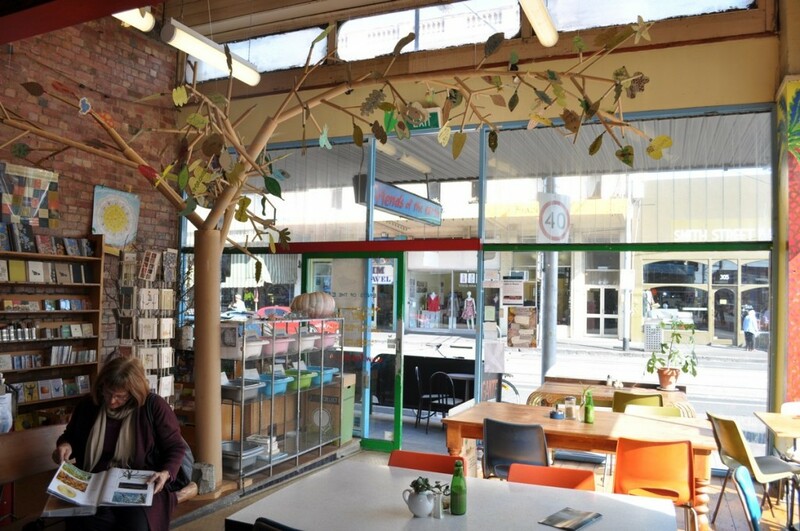 Our tree remained at Friends of the Earth for five months, sheltering people in the café area as they ate their delicious lunches. 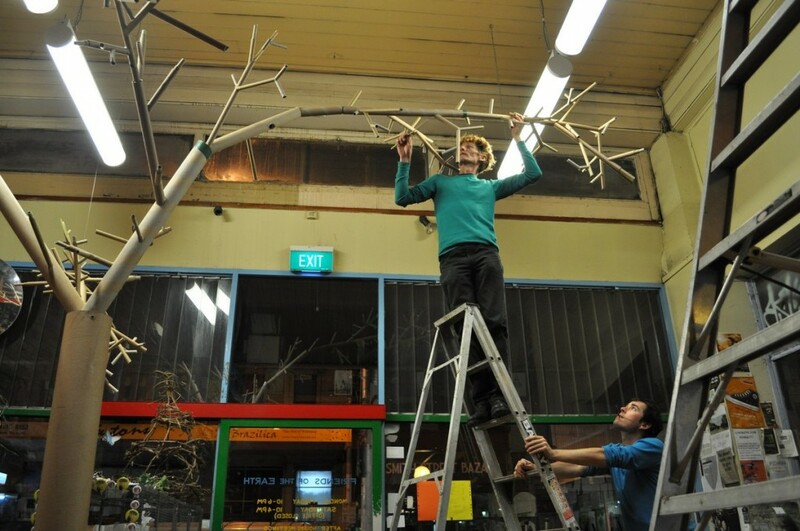 Thank you to Beth Askham who assisted us to install the tree, late into the evening. 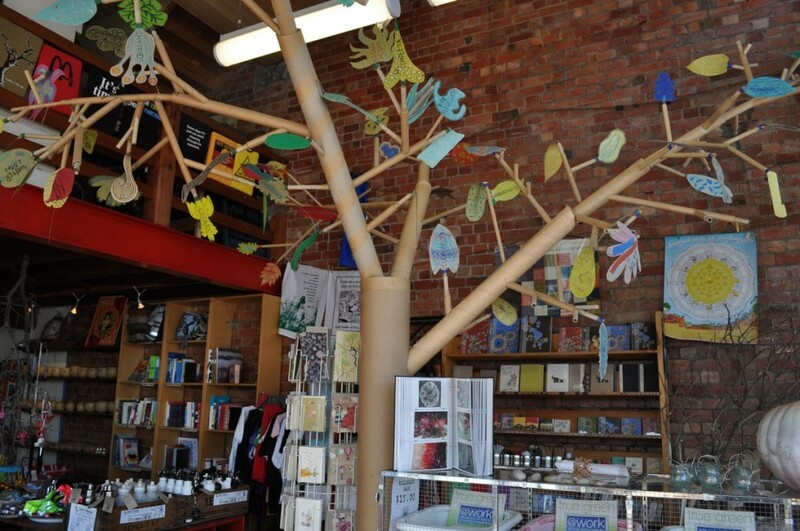 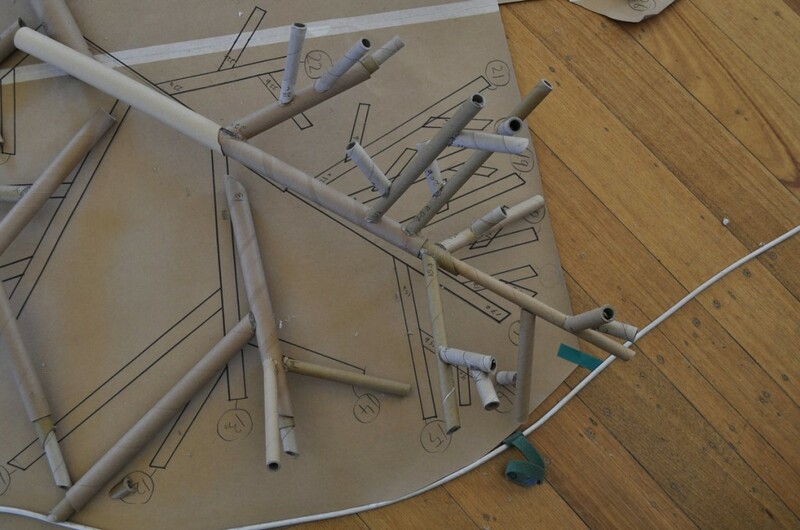 Special acknowledgement to Tony Adams, for without his structural expertise – our tree would never have grown!